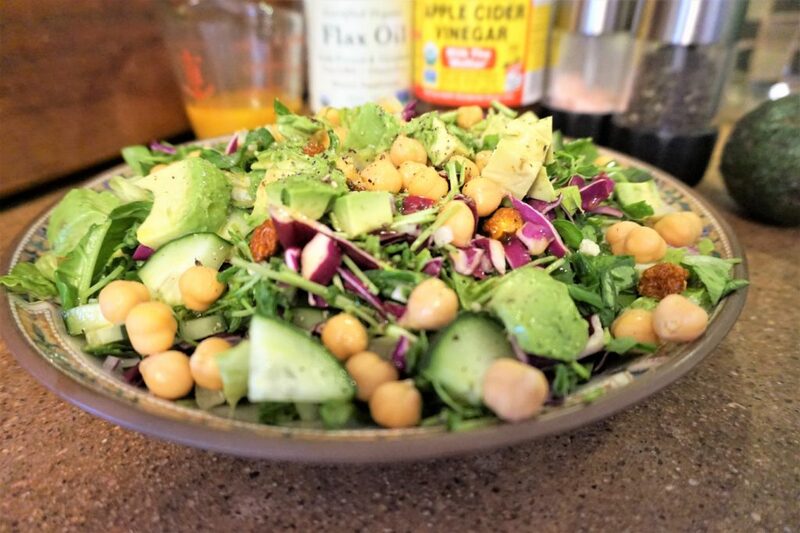 This delicious salad packs a punch of awesome nutrients. It is a little light in the way of protein, so feel free to add in your favorite protein (chicken, fish, cheese, hardboiled egg, tempeh, etc.) for an even more filling salad, especially if it’s a post workout meal. If possible, try to opt for organic ingredients, especially on the leafy greens and sprouts. Mix all of the salad ingredients together on a plate. Put the dressing ingredients in a measuring/mixing cup and emulsify by using either an immersion blender or a whisk. Pour the dressing over the salad, top with more salt and pepper, if desired (and additional protein, if using). 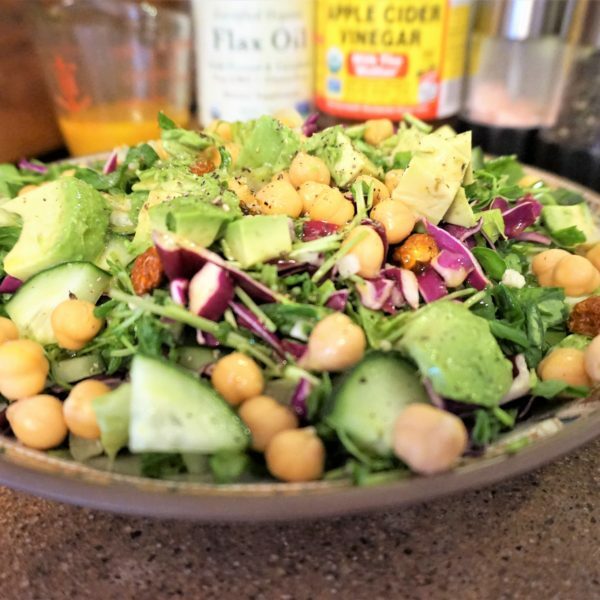 OUR STORIES | Foodie Friday, Recipe, salad, vegetarian | February 1, 2019 .